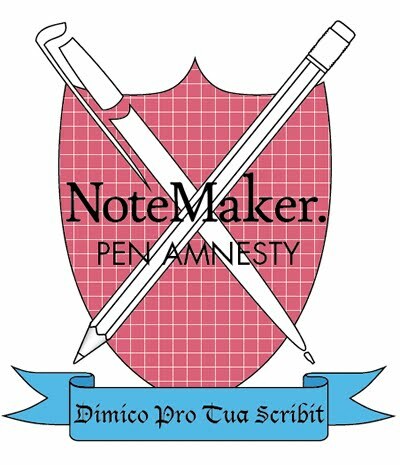 Field Notes: The NoteMaker Pen Amnesty! It's time to get excited! 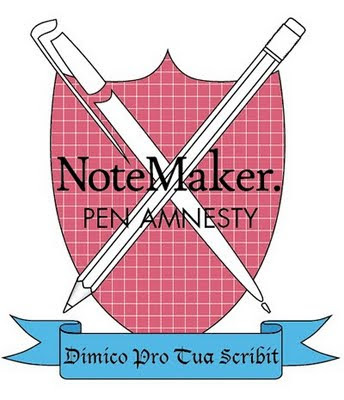 As Sam Cooke foretold us all those decades ago, 'A Change is Gonna Come' and we at NoteMaker are happy, eager, proud and adamant to be the bearers of this change! Hyperbole aside, indeed civil rights is a little beyond our scope, but civil writes? We can do that! We have a mission this June to bring smooth stylish pens to the masses. A beautiful pen in every hand! A fine writing instrument in every pencil case! A second-drawer full not of shabby pens that stop working after a few sentences. Nay, a second drawer full of pens which always work all the time! Or even better, just one pen - the cleanliness, order and harmony that one solitary, capable, quality pen delivers. Instead we offer the olive branch that is a Lamy pen, or a Cross Pen, or something by those precision obsessed folks at Diplomat. Here's the deal: simply ditch your old pen...put it away, get rid of it...send us a pic showing just how shabby it was and we reply with a FREE delfonics ballpoint pen or a 25% cash rebate on any pen purchase from NoteMaker...PLUS a free notebook to try your new pen out on! To show that we're serious, that our crest of honour above is only 99% dorky fun, we're also taking this to your office in the name of mass conversion! Set-up an entry box in your workplace and at the end of the month, tally up all of the pens that have been ditched and if your office submits either the MOST pens or the MOST AWFUL pens, you'll win a prize pack of $1000 worth of design office stationery! And of course, all of your happy co-workers will receive the freebies and rebates already mentioned...and they'll be writing with something nice and ridiculously good looking...sighing and under the breath expletives will plummet! So please join us. It's hard to say just how much of a positive difference a really nice pen makes, how enjoyable writing can be...but it is easy to find out. Gather up your instrument of choice, come to the front line of fine writing and Fight For Your Writes!